One of the reasons why buyers reject houses when they do a virtual tour online has to do with the exterior. That said, it is crucial that a seller focuses on exterior home improvements. 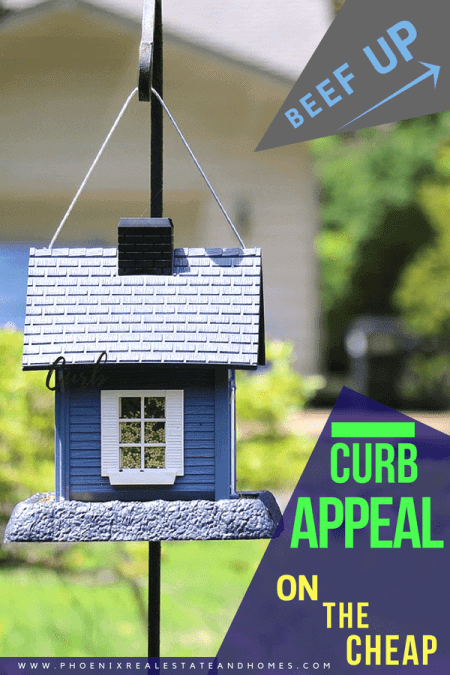 Even with a very low budget, there are things you can do to beef up your curb appeal. Below are a few suggestions to get you started. You don’t need to spend a lot of money to replace the door if you don’t like it.Rather than give it a fresh coat of paint, consider adding molding. This savvy addition offers a decorative edge and more of a welcoming feel.Metal house numbers cost as low as $5 and go a long way towards glamming up the door. Above all make sure that front door is spotless.No dirt. Not any. Zip, nada, zilch. Get the picture? Thought so. 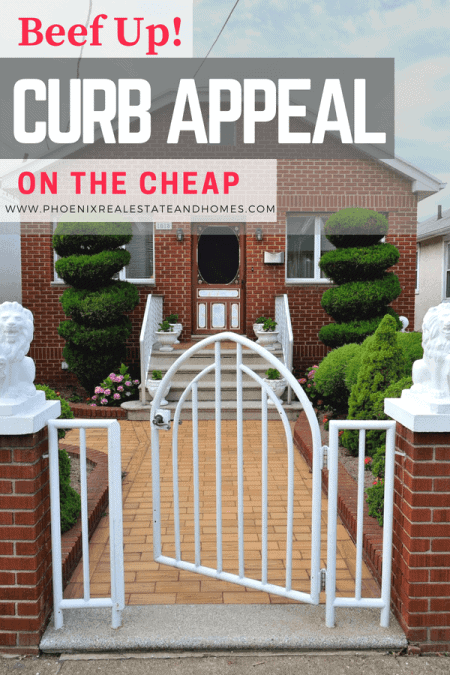 Another cheap curb appeal must is replacing the light fixtures. Outdoor sconces cost about $20 and are easy to install. The new lighting fixtures should have the same mounting system as preexisting ones. Rather than spend money on new fixtures, you can spray the old ones for a fresh look. The fix will cost you about $10 per can. Dedicating 2-3 days to deep cleaning the exterior of your home is the simplest and cheapest way to improve curb appeal. The extra work involves more than just sweeping, mowing the lawn and trimming the bushes. You will want to turn the nozzle on the garden hose to the strongest setting. Then thoroughly clean the pavements, windows, fence and sidewalk. Consider renting a power washer if grime and dirt are caked into the exterior. Rather than paint the entire exterior of the house, focus your attention on accent areas. These include the door, shutters, and trim. A gallon of exterior paint costs $20-$30, and this won’t put much of a dent in your pocket. Be sure to consider the exterior color scheme and natural style of your home when choosing paint colors. Adding shutters is an easy and effective solution for accentuating your windows. Shutters make your windows look larger and disrupt bland exterior walls to add visual interest. The color of the shutters should contrast with the color of your home for maximum impact. Porch furniture and décor is meant to give potential buyers ideas for using the outdoor space. Its use should be minimal. Tuck your wind chime collection and pink flamingo into storage, and focus instead on décor that offers character and a pop of color. Outdoor cushions and pillows are an easy way to give life and color to chairs. You can also opt for brightly colored chairs, which cost as little as $20.